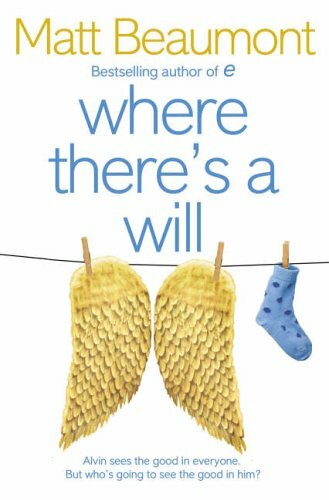 Where There’s a Will is a book that was chosen by our local book group as book of the month. It is not a book that I would have chosen but it does hit home about the cynical society we live in today. The main character, Alvin, is a good man. He works with dysfunctional teenagers, and although everyone else sees apprentice career criminals, he sees hope. No-one taught him to accentuate the positive but he does this naturally. Alvin adores his family. His wife, Karen, and his children are the centre of his world. So when he finds that one of his few teenage success stories has wound up working in a massage parlour, he decides he has to help. He makes the decision to pop in for a little chat with the teenage girl but in his own mind that is all it will be. However, nobody believes him. Karen is certainly not convinced, and perhaps she has her reasons to be suspicious. Alvin finds that his one mistake, arising from the noblest of motives, will propel events out of control. He has to leave the family home and Alvin finds his only allies are the teenagers everyone has given up on. They are great at supplying dodgy DVDs and ringtones. However, what Alvin wants to try to re-establish his life. Although Where There’s a Will is fairly readable nonsense, I found it got tedious two-thirds of the way in. It is probably saved from complete disaster by a few amusing moments that did make me smile. Matt Beaumont is a British novelist and former copywriter. Beaumont is married to novelist Maria Beaumont. They have two children and live in London, England. The author made his debut as a novelist in 2000 with the comic novel, e. The Novel of Liars, Lunch and Lost Knickers. I would not seek out other books by this author.